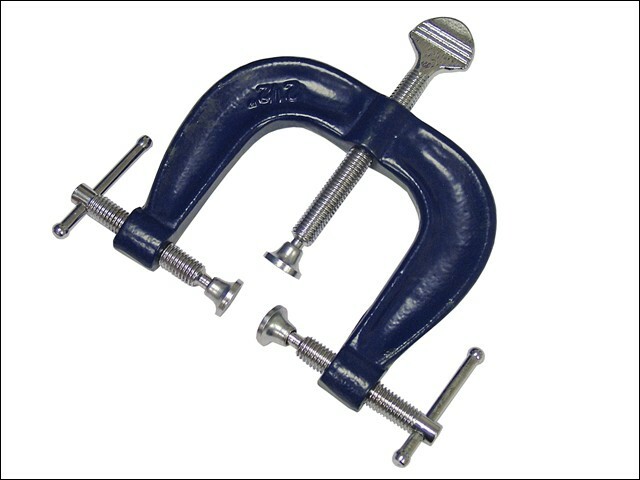 The Faithfull FAIGEDGE edging clamp is a three-spindle C-frame clamp with accurately machined spindles to providing a smooth operation and maximum clamping pressure. The broad swivel shoe adjusts to the correct angle to apply even pressure and the drop-forged steel body provides added strength. The clamp has a powder coating in order to protect it from corrosion. Throat depth: 65mm (2.1/2 inch).